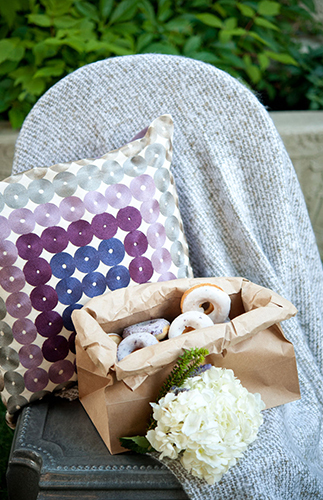 This bridal shower was a relaxed gathering of friends and included two of the bride’s favorite things…her best friends and donuts. 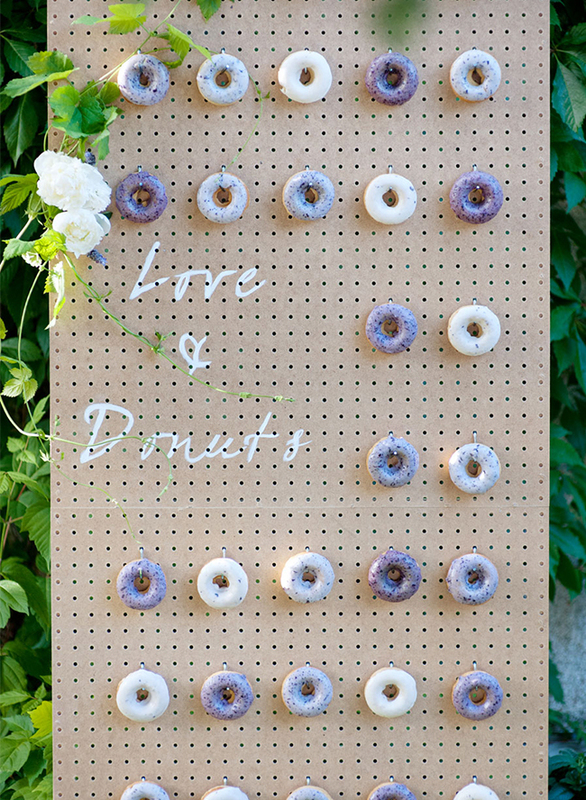 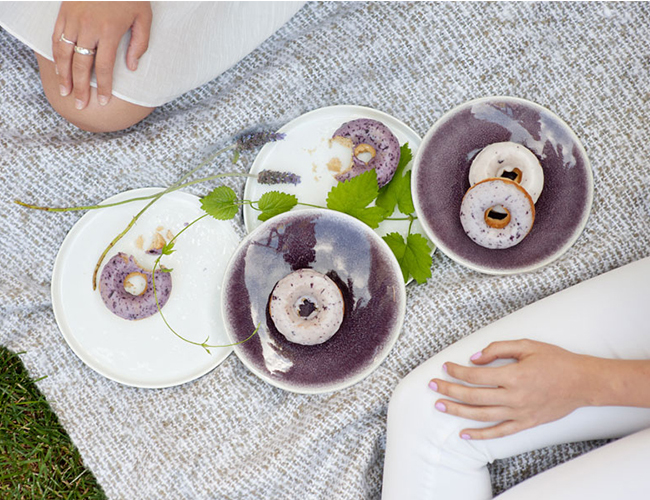 The donut wall with blueberry-glazed donuts was huge hit with party guests. 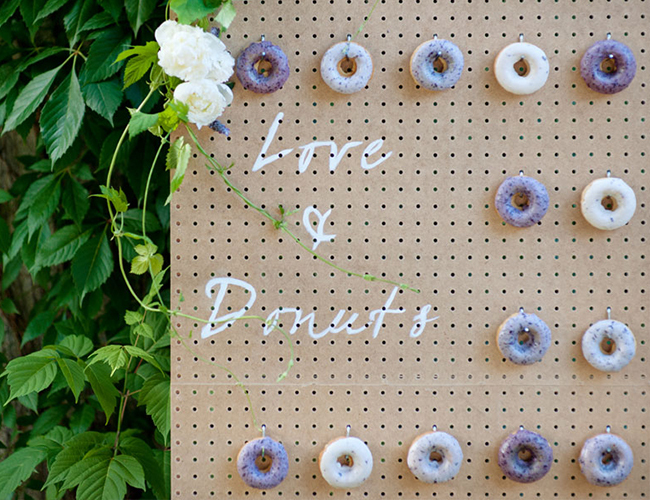 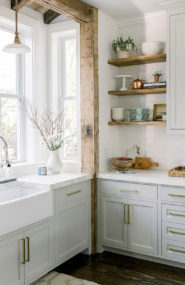 It was created with pegboard and the accompanying hardware, a hand-painted sign and a flourish of blooms. 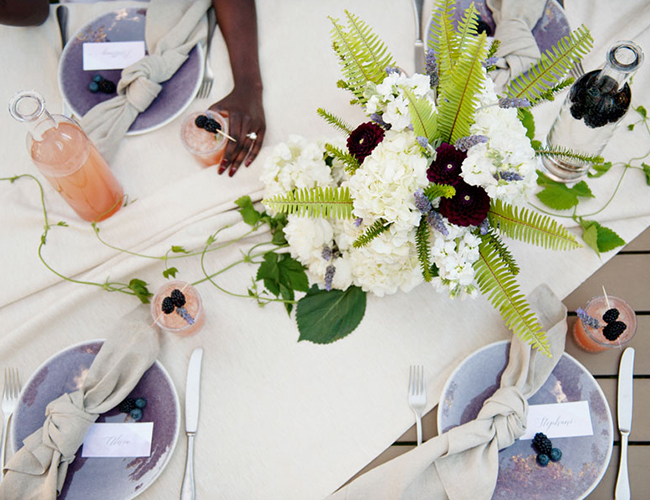 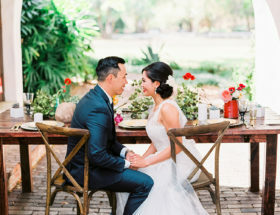 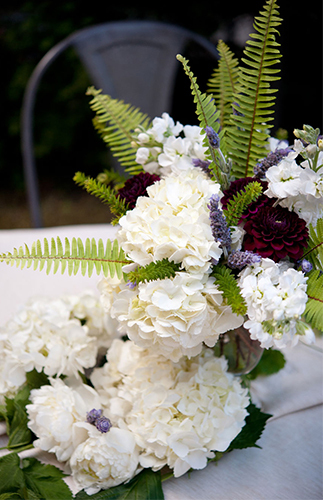 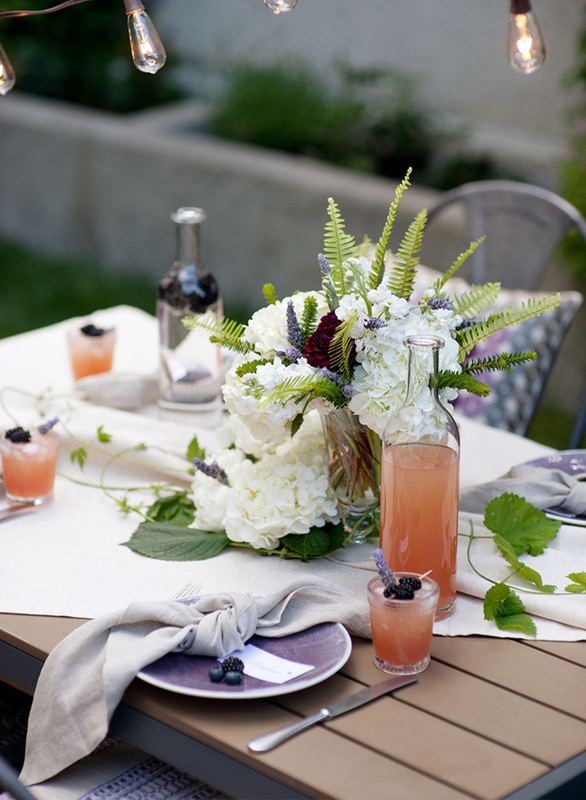 A simple table was dressed with linens, lavender dishes from Crate & Barrel, and fresh blooms from Flowers by Janie. 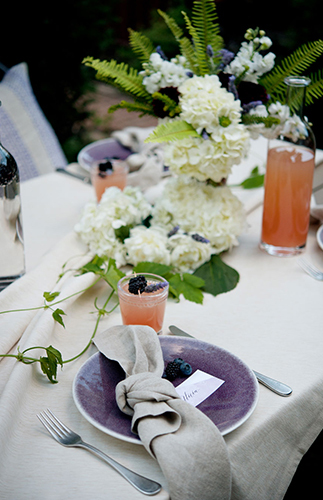 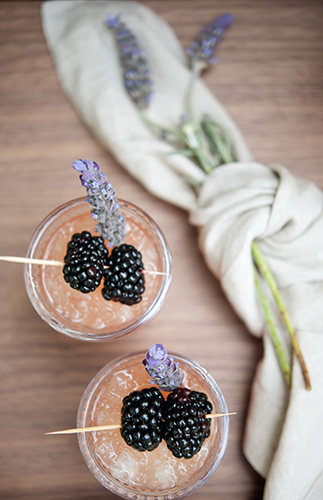 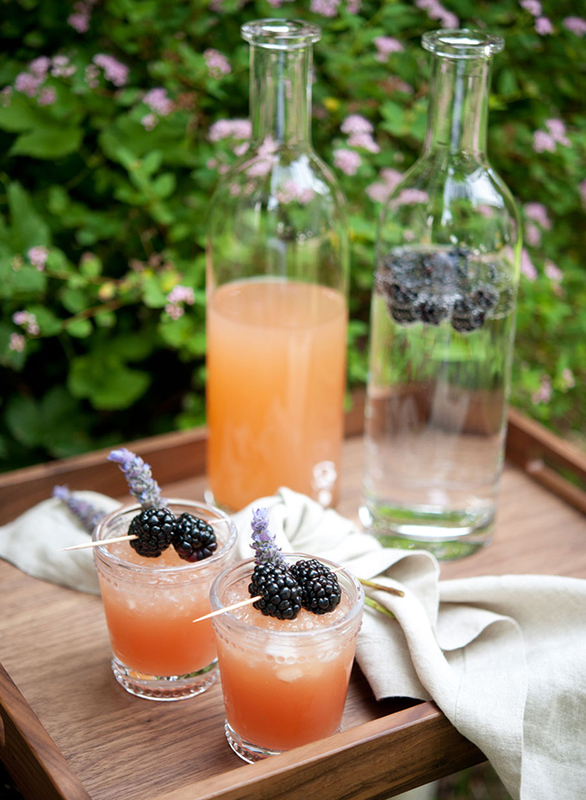 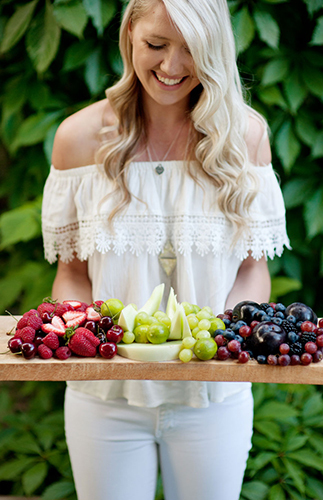 Guests sipped on iced fruit cocktails and nibbled summer fruit arranged by color on a wooden tray. 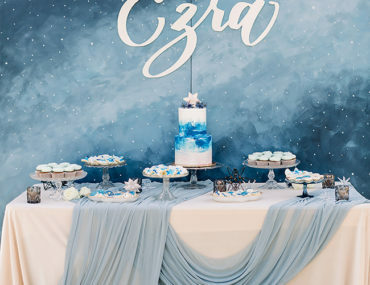 Each guest left the celebration with a sweet treat to take home. 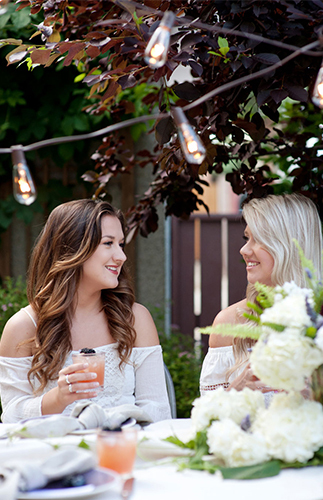 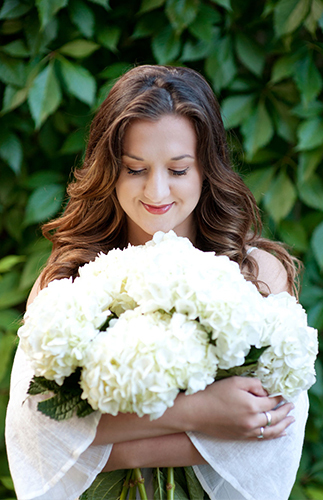 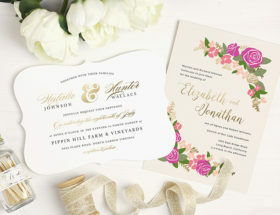 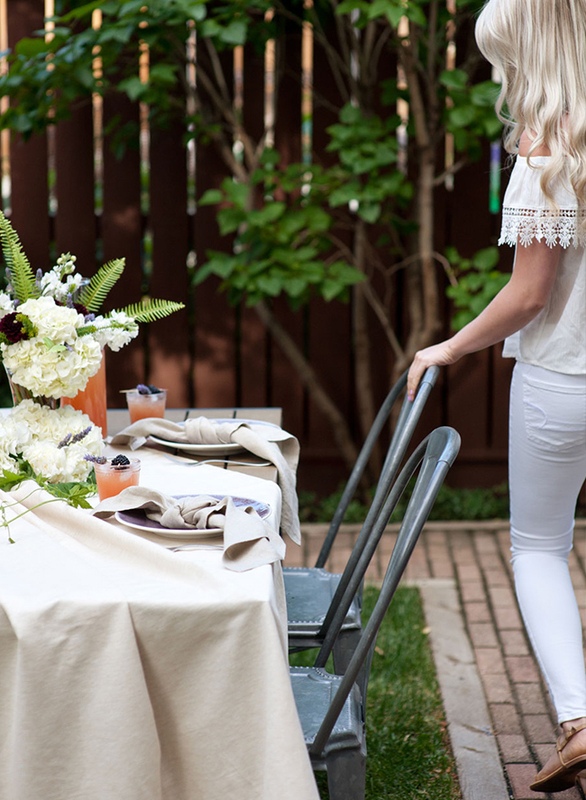 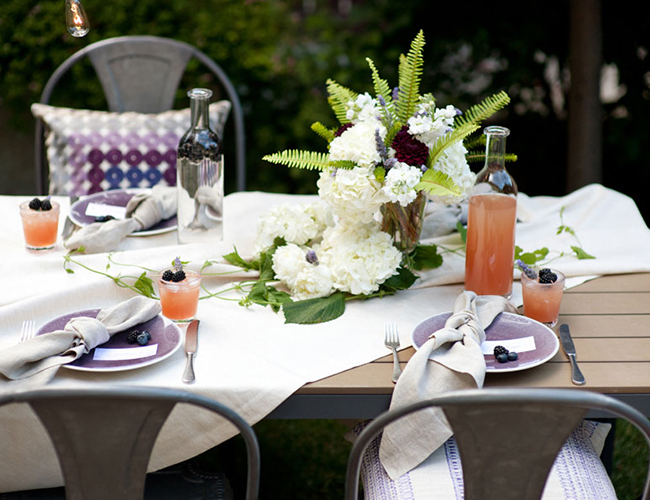 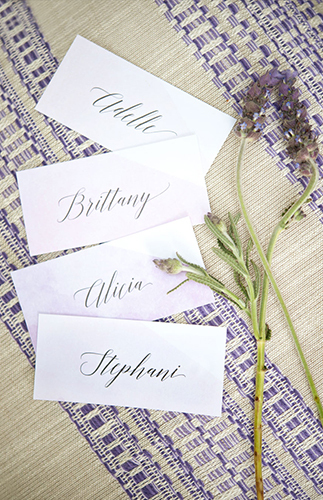 Although this was a bridal shower, these ideas could easily be translated to any outdoor summer celebration! 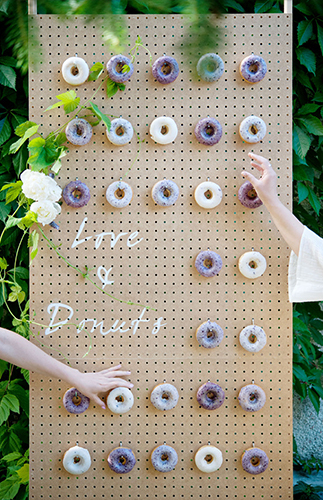 such a fan of the donut wall!